Muller Property Group has secured overall planning for 149 homes in Ansley on land north of Nuthurst Crescent. This follows two successive appeal hearings against North Warwickshire Council over the site’s separate housing phases. 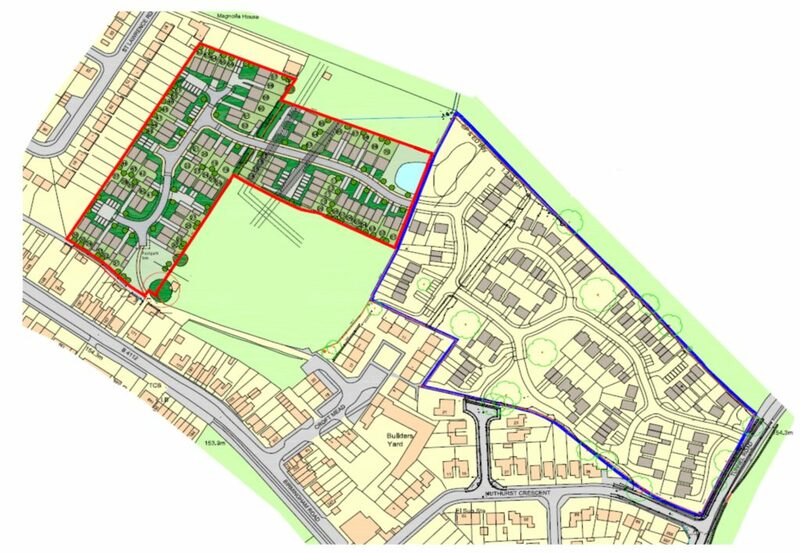 Outline permission for phase one, up to 79 dwellings, was granted when the local authority lost an appeal in January 2017. A planning application for a second phase from Muller for up to 70 dwellings was rejected by councillors in October 2017, despite being recommended for approval by planning officers. Muller appealed to the Planning Inspectorate, and an inquiry was scheduled for May this year. However, the council withdrew its case on the second day, and the decision to refuse permission was subsequently overturned by the Inspector. Muller is at an advanced stage of agreeing a sale to a social housing provider who will submit detailed planning applications in due course and then move on to build the houses. Forty per cent of the new homes will fall into the category of affordable housing. Muller has agreed to contribute £40,354 to provide facilities at George Eliot Hospital, plus £12,583 to help fund local doctors’ services, as well as additional funds for the development of sustainable transport models for the area. Muller Property chief executive, Colin Muller said: “Despite a proven need for more affordable housing in the area, North Warwickshire Council spent a great deal of time and money fighting against both phases of this proposal. “On phase two they had to withdraw from the appeal when faced with the compelling evidence we had gathered, clearly showing the Council did not have a five year housing land supply. “Not only will this development make a significant contribution to relieving the housing shortage, but it also represents a large investment in the area as a whole that will benefit both new and existing residents.